[...] The Court finds it established that, on a date in late 1983 or early 1984, the President of the United States authorized a United States government agency to lay mines in Nicaraguan ports; that in early 1984 mines were laid in or close to the ports of El Bluff, Corinto and Puerto Sandino, either in Nicaraguan internal waters or in its territorial sea or both, by persons in the pay and acting on the instructions of that agency, under the supervision and with the logistic support of United States agents; that neither before the laying of the mines, nor subsequently, did the United States Government issue any public and official warning to international shipping of the existence and location of the mines; and that personal and material injury was caused by the explosion of the mines [...]. [...]The United States participation, even if preponderant or decisive, in the financing, organizing, training, supplying and equipping of the contras, the selection of its military or paramilitary targets, and the planning of the whole of its operation, is still insufficient in itself, on the basis of the evidence in the possession of the Court, for the purpose of attributing to the United States the acts committed by the contras in the course of their military or paramilitary operations in Nicaragua. All the forms of United States participation mentioned above, and even the general control by the respondent State over a force with a high degree of dependency on it, would not in themselves mean, without further evidence, that the United States directed or enforced the perpetration of the acts contrary to human rights and humanitarian law alleged by the applicant State. Such acts could well be committed by members of the contras without the control of the United States. For this conduct to give rise to legal responsibility of the United States, it would in principle have to be proved that State had effective control of the military or paramilitary operations in the course of which the alleged violations were committed. The Court does not consider that the assistance given by the United States to the contras warrants the conclusion that these forces are subject to the United States to such an extent that any acts they have committed are imputable to that State. It takes the view that the contras remain responsible for their acts, and that the United States is not responsible for the acts of the contras, but for its own conduct vis-à-vis Nicaragua, including conduct related to the acts of the contras. What the court has to investigate is not the complaints relating to alleged violations of humanitarian law by the contras, regarded by Nicaragua as imputable to the United States, but rather unlawful acts for which the United States may be responsible directly in connection with the activities of the contras. The lawfulness or otherwise of such acts of the United States is a question different from the violations of humanitarian law of which the contras may or may not have been guilty. It is for this reason that the Court does not have to determine whether the violations of humanitarian law attributed to the contras were in fact committed by them. At the same time, the question whether the United States Government was, or must have been, aware at the relevant time that allegations of breaches of humanitarian law were being made against the contras is relevant to an assessment of the lawfulness of the action of the United States. In this respect, the material facts are primarily those connected with the issue in 1983 of a manual of psychological operations. [...] The Court would observe that, according to the United States argument, it should refrain from applying the rules of customary international law because they have been “subsumed” and “supervened” by those of international treaty law, and especially those of the United Nations Charter. Thus the United States apparently takes the view that the existence of principles in the United Nations Charter precludes the possibility that similar rules might exist independently in customary international law, either because existing customary rules had been incorporated into the Charter, or because the Charter influenced the later adoption of customary rules with a corresponding content. The Court does not consider that, in the areas of law relevant to the present dispute, it can be claimed that all the customary rules which may be invoked have a content exactly identical to that of the rules contained in the treaties which cannot be applied by virtue of the United States reservation. On a number of points, the areas governed by the two sources of law do not exactly overlap, and the substantive rules in which they are framed are not identical in content. But in addition, even if a treaty norm and a customary norm relevant to the present dispute were to have exactly the same content, this would not be a reason for the Court to take the view that the operation of the treaty process must necessarily deprive the customary norm of its separate applicability. Nor can the multilateral treaty reservation be interpreted as meaning that, once applicable to a given dispute, it would exclude the application of any rule of customary international law the content of which was the same as, or analogous to, that of the treaty law rule which had caused the reservation to become effective. The Court concludes that it should exercise the jurisdiction conferred upon it by the United States declaration of acceptance under Article 36, paragraph 2, of the Statute, to determine the claims of Nicaragua based upon customary international law [...]. In the present dispute, the Court, while exercising its jurisdiction only in respect of the application of the customary rules of non-use of force and non-intervention, cannot disregard the fact that the Parties are bound by these rules as a matter of treaty law and of customary international law. Furthermore, in the present case, apart from the treaty commitments binding the Parties to the rules in question, there are various instances of their having expressed recognition of the validity thereof as customary international law in other ways. It is therefore in the light of this “subjective element” – the expression used by the Court in its 1969 Judgement in the North Sea Continental Shelf cases (I.C.J. Reports 1969, p. 44) – that the Court has to appraise the relevant practice. “to notify the danger zones as soon as military exigencies permit, by a notice addressed to ship owners, which must also be communicated to the Governments through the diplomatic channel” (Art. 3). “certain general and well recognized principles, namely: elementary considerations of humanity, even more exacting in peace than in war” (I.C.J. Reports 1949, p. 22). [...] The conduct of the United States may be judged according to the fundamental general principles of humanitarian law; in its view, the Geneva Conventions are in some respects a development, and in other respects no more than the expression, of such principles. It is significant in this respect that, according to the terms of the Conventions, the denunciation of one of them “shall in no way impair the obligations which the Parties to the conflict shall remain bound to fulfil by virtue of the principles of the law of nations, as they result from the usage established among civilized peoples, from the laws of humanity and the dictates of the public conscience” (Convention I, Art. 63; Convention II, Art. 62; Convention III, Art. 142; Convention IV, Art. 158). Article 3 which is common to all four Geneva Conventions of August 12, 1949 defines certain rules to be applied in the armed conflicts of a non-international character. There is no doubt that, in the event of international armed conflicts, these rules also constitute a minimum yardstick, in addition to the more elaborate rules which are also to apply to international conflicts; and they are rules which, in the Court’s opinion, reflect what the Court in 1949 called “elementary considerations of humanity” (Corfu Channel, Merits, I.C.J. Reports 1949, p. 22; paragraph 215 above). The Court may therefore find them applicable to the present dispute, and is thus not required to decide what role the United States multilateral treaty reservation might otherwise play in regard to the treaties in question. The conflict between the contras’ forces and those of the Government of Nicaragua is an armed conflict which is “not of an international character”. The acts of the contras towards the Nicaraguan Government are therefore governed by the law applicable to conflicts of that character; whereas the actions of the United States in and against Nicaragua fall under the legal rules relating to international conflicts. Because the minimum rules applicable to international and to non-international conflicts are identical, there is no need to address the question whether those actions must be looked at in the context of the rules which operate for the one or for the other category of conflict. The relevant principles are to be looked for in the provisions of Article 3 of each of the four Conventions of August 12, 1949, the text of which, identical in each Convention, expressly refers to conflict not having an international character. “the provision of food, clothing, medicine, and other humanitarian assistance, and it does not include the provision of weapons, weapons systems, ammunition, or other equipment, vehicles, or material which can be used to inflict serious bodily harm or death” [...]. It is also to be noted that, while the United States Congress has directed that the CIA and Department of Defense are not to administer any of the funds voted, it was understood that intelligence information might be “shared” with the contras. Since the Court has no information as to the interpretation in fact given to the Congress decision, or as to whether intelligence information is in fact still being supplied to the contras, it will limit itself to a declaration as to how the law applies in this respect. An essential feature of truly humanitarian aid is that it is given “without discrimination” of any kind. In view of the Court, if the provision of “humanitarian assistance” is to escape condemnation as an intervention in the internal affairs of Nicaragua, not only must it be limited to the purposes hallowed in the practice of the Red Cross, namely “to prevent and alleviate human suffering”, and “to protect life and health and to ensure respect for the human being”; it must also, and above all, be given without discrimination to all in need in Nicaragua, not merely to the contras and their dependants. The Court now turns to the question of the application of humanitarian law to the activities of the United States complained of in this case. Mention has already been made (paragraph 215 above) of the violations of customary international law by reason of the failure to give notice of the mining of the Nicaraguan ports, for which the Court has found the United States directly responsible. Except as regards the mines, Nicaragua has not however attributed any breach of humanitarian law to either United States personnel or the “UCLAs” [”Unilaterally Controlled Latino Assets” acronym used by the CIA for Latin American citizens, paid by, and acting under the direct instructions of, United States military or intelligence personnel], as distinct from the contras. The Applicant has claimed that acts perpetrated by the contras constitute breaches of the “fundamental norms protecting human rights”; it has not raised the question of the law applicable in the event of conflict such as that between the contras and the established Government. In effect, Nicaragua is accusing the contras of violations both of the law of human rights and humanitarian law, and is attributing responsibility for these acts to the United States. The Court has however found (paragraphs 115, 216) that this submission of Nicaragua cannot be upheld; but it has also found the United States responsible for the publication and dissemination of the manual on “Psychological Operations in Guerrilla Warfare” referred to in paragraphs 118 to 122 above. (Paras 174-178, 181) Does a rule of customary international law continue to be in force between States party to a multilateral treaty codifying that rule? Even if the two rules are identical? Why? May the contents of the customary rule be influenced by the treaty rule? By the practice of States bound by the treaty? (Paras 185, 186, 207) Does a treaty commitment “count” as practice for customary international law? Can a rule belong to customary international law even if the behaviour of States frequently fails to conform with the rule in question? What is the importance of the Court’s ruling on these points for IHL? (Para. 219) How does the Court qualify the conflict in Nicaragua? (Paras 218, 219) Does Art. 3 common to the Conventions apply to international armed conflicts? As customary law? Does the Martens Clause prove that Art. 3 common to the Conventions is customary law? That the whole of IHL is customary law? (Para. 220) Is Art. 1 common to the Conventions applicable in non-international armed conflicts? As a treaty rule? As a customary rule? Or both? Is the US responsible for all acts of the contras? For their violations of IHL? For some of the IHL violations? Why? Under which conditions would the US be responsible for all acts of the contras? Would that modify the Court’s qualification of the conflict? Is the US violating IHL by providing the Manual “Operaciones sicológicas en guerra de guerrillas”? Regardless of whether the contras actually committed the recommended acts? Which rules of IHL are violated? Can providing humanitarian assistance violate international law? Are the rules violated those of IHL or those of jus ad bellum? Are the conditions for lawful humanitarian assistance prescribed by IHL? (GC IV, Arts 23 and 59; P I, Art. 70; P II, Art. 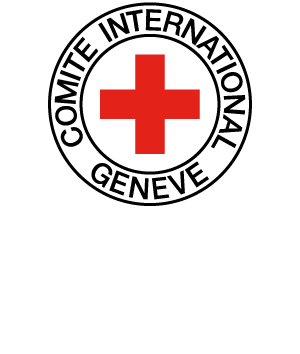 18; CIHL, Rules 55-56) Are the fundamental principles of the Red Cross part of IHL? To whom are they addressed? Must States comply with the fundamental principles of the Red Cross?